We are happy to show you a new logo designed for the Visiting Artists Gallery in Tiverton Four Corners. It is always important to keep in mind how a logo will read as a sign. Strong colors that compliment the exterior of the building, along with font choices that are strong and legible form afar, combine to deliver a sign that matches the brand and reaches the customer from the street. 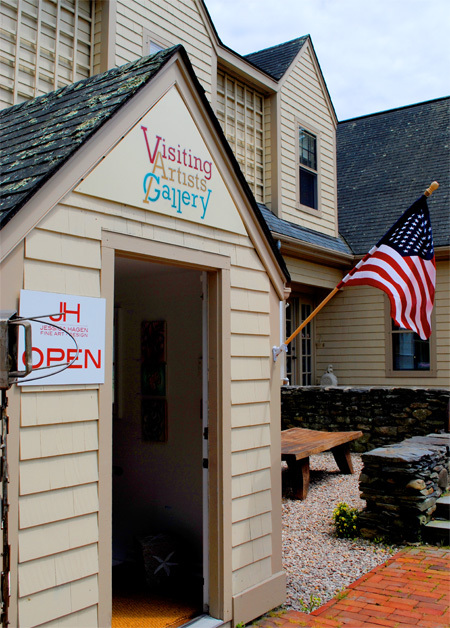 If you’re local, this gallery currently features a beautiful (and summery) exhibition from the Jessica Hagen gallery of Newport, RI.